Hi everybody. 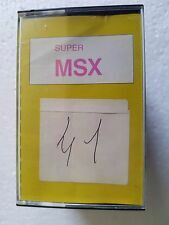 During last weeks I've been learning MSX-Basic and I'm facing a small project made in Turbo Basic. With the help of people of this forum I've made progress, but I'm reaching a point where 10Kb limitation in turbo block is becoming a serious problem. 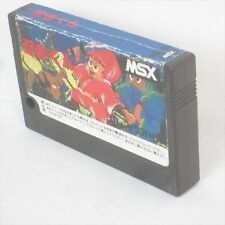 1.- MSX-C, high level language so it's good for general purpose. 3.- ASM, ideal for action / arcade but perhaps not best option to make RPG / Strategy. I prefer general purpose languages, so options 1 & 2 are preferable. Can someone summarize pros / cons of every option? I cannot give you pros and cons on the 3 languages, they all work but from experience as a real mathemathical blind person that never managed to understand a thing of coding, ASM is really the easiest to understand once you get the hang of it. It is straightforward and does exactly what you want it to do. It is fast and opens a world of system resources that you could only dream of. While C does the same I find C complex to learn with all those dependicies and compilers requiring all kinds of instructions but thats because I am number blind. My opinion: forget about option 2. choose between option 1 and 3 depending on how your brains work. Both options will take you about 2 years to learn if you have a good mentor/willpower/project to work on. Start small, join a big project with patient people in them and learn. Before you know it you will be making your awesome game in C or ASM. There are more ASM people I think (but I cannot prove that its just a assumption) so ASM will have more people around to learn you the stuff. All that option 1 and 2 require is willpower thats all. If you are a person of willpower don't worry go for it. In Turbo Basic it only took 3 weeks to start making my game . I know that ASM is really the only choice to have full access to hardware resources, but since I'm very used to structured language I'm very interested in C / Pascal. 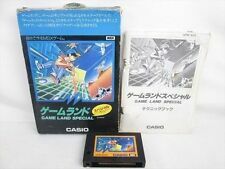 On the other hand as I say I look for a general purpose language that allows me to create any genre: action-arcade, RPG, strategy... I don't want to learn several languages (ASM for arcades, C for RPGs, etc), I want to learn only one and use it for all genres, and I supposse that ASM is really hard to make complex logical as required for strategy game, maybe? ok ok I was a little too dramatic on that one. Within 2 years you will be able to make a game like SMW, write romloaders and cool systemtools. You start to really understand how that machine works. Its like getting your black belt for ASM. You can start making cool programs within 3 weeks if you see the light. I cannot support that one with facts. Its my opinion. I feel that pascal is like trying to escape from basic by going from one high level language to another. I bet its going to give you alot more space to get things done but why not directly put your time and effort in the language that gives you the most possibilities? Remember that your first project will be cool but the next one will be even cooler because you have the freedom to make whatever you want. Ok, your vote goes to ASM . I suppose that it's the only way to have SMW running on MSX2, in C you hardly could get such performance in arcades. Well since Pascal not seems very used by comunity the list is reduced to ASM or C.
@Axelstone : I've never understand ASM, but I know it's the best way for making cool things on MSX. I'm programmer, and can play with 3 or 4 languages on my job, but I never had courage to jump into ASM ! Anyway, about you current project with Kun Basic, i'm quite sure you can find some tricks to break the 10K limits. Try to move some routines outside the Turbo Bloc. Make more little turbo Blocks instead of one big Turbo Block. And you can combine the controls that already exits in SymbOS. I dont see what you mean with ASM not ideal for RPGs or C not suited for action games.. There are many examples for those. What makes it so complex to code this in asm compared to say, basic? Imho its just some flowcharts/conditions that you need to translate from your head to code, what type of code doesnt matter..
My advice is to give C a try. Keep in mind also that you can always write in assembler those parts of your program that are too slow or too big; writing a small chunk of assembler is much more affordable than writing a whole application! 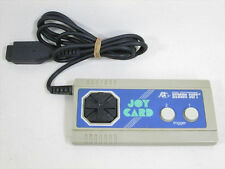 As for the C compiler, I use SDCC, mainly because nowadays it's a lot easier for me to develop using a PC and to test using an emulator than to use a real MSX for that (but mind you, I always test my software in my real Turbo-R before releasing it!) and even more important, I have access to proper source code control tools. If you are going to take a look at SDCC, check out the SDCC section in my web too, as there are some useful resources. Wow, it's really impressive. However it's more like a script language, not a programming language, maybe? Just my case. I'm programmer and I've used a lot of languages during my life (Basic, C, Pascal, Java, etc) but most of them are high level languages. I feel very confortable using them (this was the main reason because I started with MSX-Basic), so I'm sure that MSX-C / Pascal should be easy to learn. 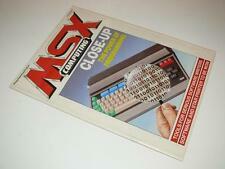 I don't mind any of them, I should choice the one more extended in the MSX comunity in order to share knowledge. I mean that game logic is much more easy to program in C, it's almost direct from your head. In ASM is all more "obscure". On the other hand, ASM has more performance so is better for action games. However I will not learn 2 languages, so I don't mind to make an action game in C.
Thanks for your opinions men. No .. you are wrong about that .. it is the Unify language where you can combine ML and Unify. That is compiled to pure assembly.